The first stretch of beaches can be found in the town of Estartit where we find Natural Park of the Medes Islands, the island opposite the town, in this stretch of beach mainly find small coves, hidden between the coastal mountains and caves . Just north of Estartit we find a beach practically virgin with fine white sand, with little buildings, it is Montgo Creek. In the very town of Estartit are two large and long beaches, frequented by inhabitants of the population and tourists. Near the beach we can find Pals, long and very wide. From this beach we can walk to Begur, where the beaches and scenery are considered one of the most spectacular of the Costa Brava. Waterfront rugged mountains along with pine forests, sand and blue waters. The following main beaches are found in Palamos, third fishing village by importance of Catalunya. In the village we found the beach "La Platja Gran" wide and long, outside the town we find two idyllic coves such as the Fosca and s'Alguer. Calonge is another of the regions near Palamos, a spectacular medieval town, although the beach to be found in their neighborhood sailor to 2 km away in Sant Antoni de Calonge. In Platja d'Aro can find some of the most popular beaches of the coast, as well as leisure playes be added in this area especially the various clubs, bars and shops of all kinds. Against starting to Platja d'Aro can find one of the quietest poblacionaes a few miles south direction, it is s'Agaró, a place conceived with various elitist houses, we can find the lovely cove of Sa Conca. Many of the coastal towns focus all its activities in the summer periods, this does not happen Sant Feliu, which stands on the stretch of coast, for their activity throughout the year, with a neat and clean beach. 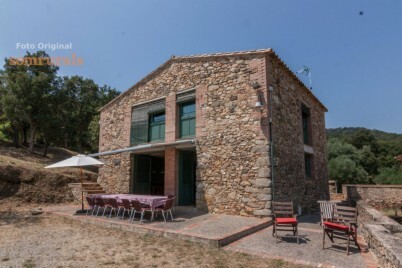 Photos, news and rural news in Catalunya on Facebook | Twitter. 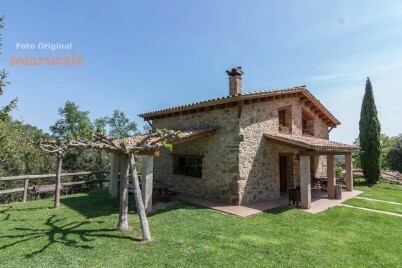 Cottage overlooking the valley of la Garrotxa and surrounded by nature. Rustic farmhouse. 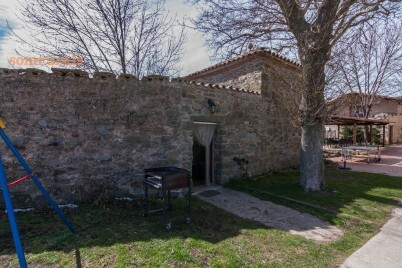 It has games room, pool and barbecue.